What Can I Do With Muslin Scraps? When I made the pants muslin for the Silhouette Patterns One-Day Seminar in Denver, I actually made two of them! I chose the wrong size initially, using my hip measurement, not my sitting hip measurement. I ended up with an extra pants muslin and lots of scraps. At first, that extra muslin and those scraps were in my trash bin. But the Kitty sitting on my shoulder suggested that maybe I could do something useful with those scraps. I really didn’t have many ideas at all and I still don’t. Do you have any ideas? 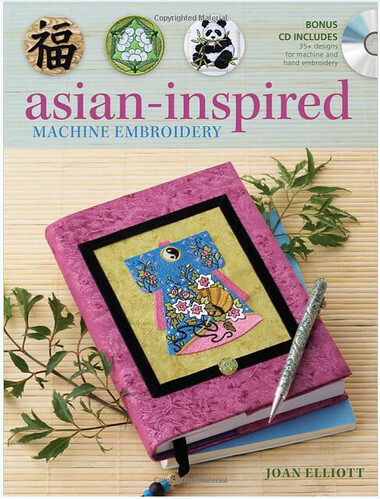 I’m going to visit my good sewing friend Paula in Seattle while babysitting 8 17-year old boys attending the DigiPen Pre-College program. Yes, these are game-programmer wannabes and my son is extremely excited to attend the program. Paula and I met in Japan on the Japanese Textile Tour. One of our fondest memories is of going to the Ueno Zoo in Tokyo and seeing Giant Pandas. So here was my perfect excuse to make some little gifts and use up some muslin scraps. 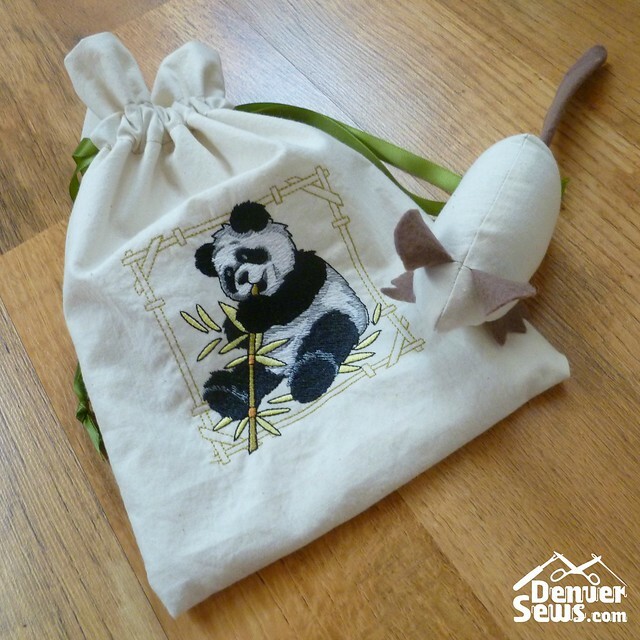 From my extra pants muslin, I had enough fabric to make a small drawstring bag with a Panda embroidered on it. The instructions for making a really nice looking lined drawstring bag I found on Jeni Baker’s blog here. I really liked how she made the channel for the drawstring and how she used a contrasting color for the top of the bag. I think the final product looks really nice. Since I was using only muslin, I followed the spirit of her instructions.. I laundered all of my muslin scraps and ironed them. I used unbleached cotton muslin. I really like the natural, slightly heathered look of the cotton. The fabric is also fairly soft. Here is the bag I made. I think it’s really cute! Paula also has 3 cats and a part-time dog. I thought I’d also try and make a little mouse cat-toy out of the muslin. I found instructions here. I didn’t follow the instructions exactly, because I figured the mouse would likely get chewed up quickly. Here it is! Well that’s the best I could do with my scraps. I have a lot of scraps that are probably no more than 5″ wide. I can try and make more mice, but it’s actually fairly time consuming and difficult to sew something so small. Can you think of anything I can do with all of these scraps? That is so cute. Me thinks I need an embroidery machine. Ack. The muslin would also be a great backing for the silk you bought in Japan if you want to give a base for interfacing. I love your projects, Lynne. And also the idea from mahlicadesigns above. I would probably dye the scraps and then use them in a quilted wall hanging. My friend who is a fantastic quilter has done several hand dyed quilts that are just spectacular! What a great idea to both dye the muslins and use them in a small sewn ornament. Fabulous ideas! I also dice them up to use as stuffing for plushies or other crafts. That’s a great idea. I’ve also wanted to find some kind of sewn ornament to make and your idea is perfect! 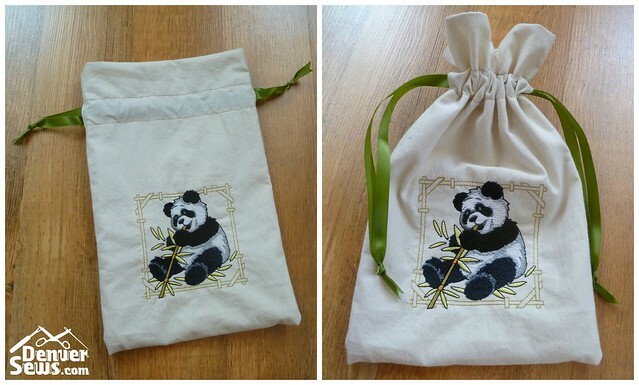 The Panda Bag is darling! What a sweet idea. Yup. Those muslin (and other fabric) scraps can take over one’s precious sewing space. Love the Panda bag! I’m not a pet owner, but if you stuff the little mice with potpourri or something fragrant??? Will that keep a cat from chewing it up? You could make drawstring drawer sachets with the scraps. OK, now I’ll be obsessing about muslin scraps all day. Thank you for the inspiration and the ideas!